The Government of Punjab has decided to expand its Metro Bus service project to the other cities of the province. According to the announcement made, the Government of Punjab will be launching the Metro Bus project in Rawalpindi and Islamabad. The aim is to provide comfortable, safe and efficient transportation service to the citizens of the city. For this purpose, the Executive Committee of National Economic Council (ECNEC) has already approved the project with an estimated cost of Rs. 23.839 billion. As the cost of Metro Bus project is quite high so it has been decided that Punjab Government will be contribute Rs. 10.419 billion while the remaining amount of Rs. 13.419 billion will be provided by the Federal Government of Pakistan. 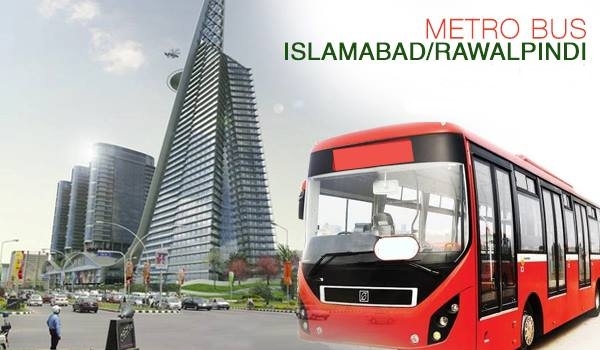 According to the announcement made by official authority, the work on Rawalpindi/Islamabad Metro Bus project will start from 23rd March 2014 and it is aimed to be completed within the duration of 10 months. Total 24 stations will be built for this purpose with 60 buses to carry passengers from one place to another. The length of track laid for Metro Bus will be 23 Kilometer. On its completion, around 1.5 Lac passengers will get benefited from the service. The project has been designed while keeping the high passenger load in coming years. The track will be built in such a way that it can be used for transit train service without having the need to make any further alternations. The Metro bus track will start from I J Principle Road at Faizabad and after going through I J Principle Road, 9th Avenue and Jinnah Avenue, the track will end at Pakistan Secretariat. After the completion of Rawalpindi-Islamabad Metro Bus project, the government will be launching this project in other large cities of Pakistan too including Faisalabad and Multan.